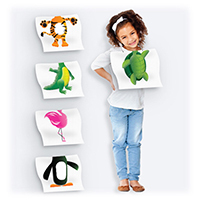 The Countour patient bib has a pebble embossed, cut-out contoured neck. 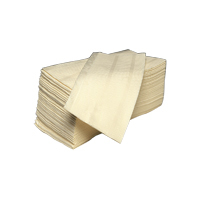 This contoured neck increases patient comfort and provides added protection for patient clothing. 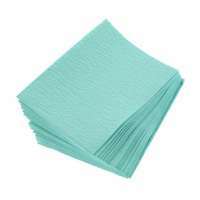 The bib is made of a 3-Ply tissue with a 1-Ply poly material. 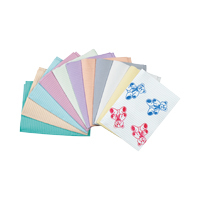 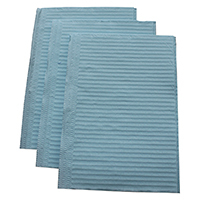 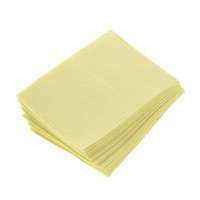 Patient Bibs, Poly Back Standard Long, 2-Ply Tissue, 1-Ply Poly, Blue, 500/Pkg.